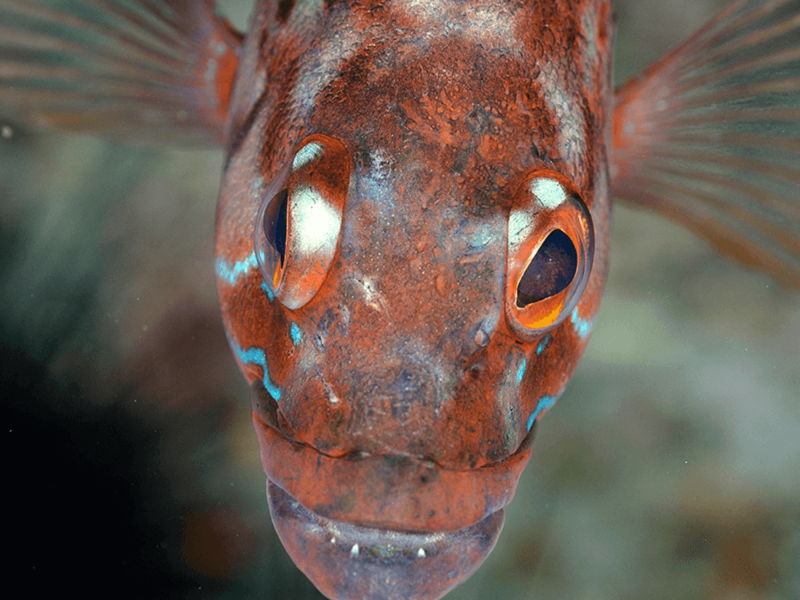 in the beautiful underwater world of the atlantic-sea .Madeira Divepoint is located in the 5 star Madeira Carlton hotel on the ocean. 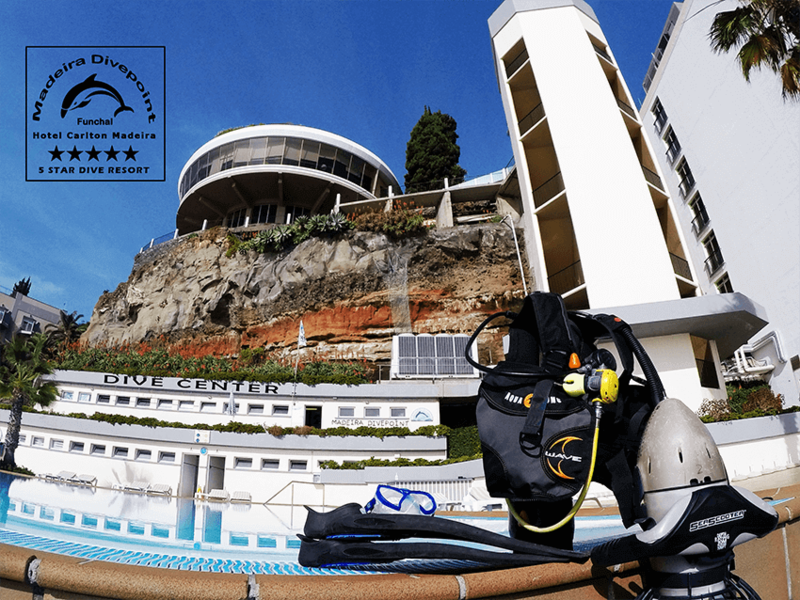 The hotel is only 15 minutes walking distance from the centre of Funchal, the capital of Madeira. 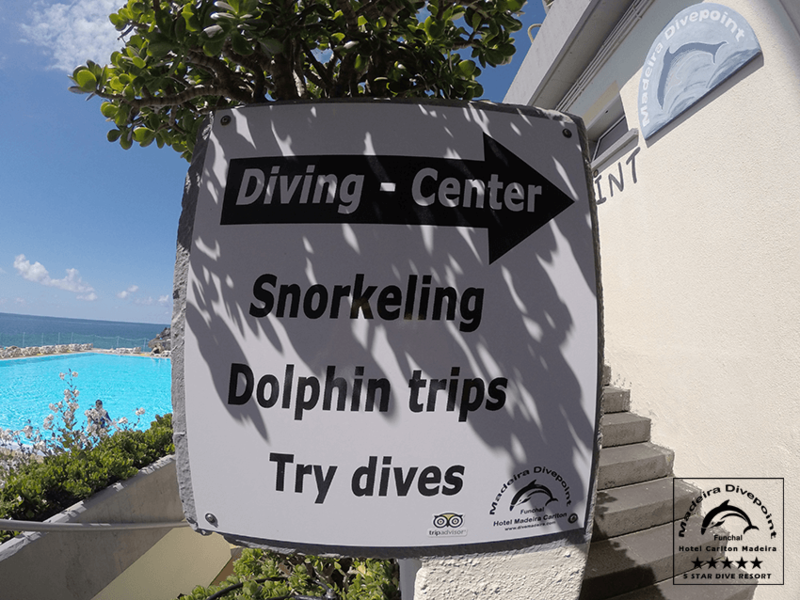 The Dive center has been developed by divers for divers and snorkelers. 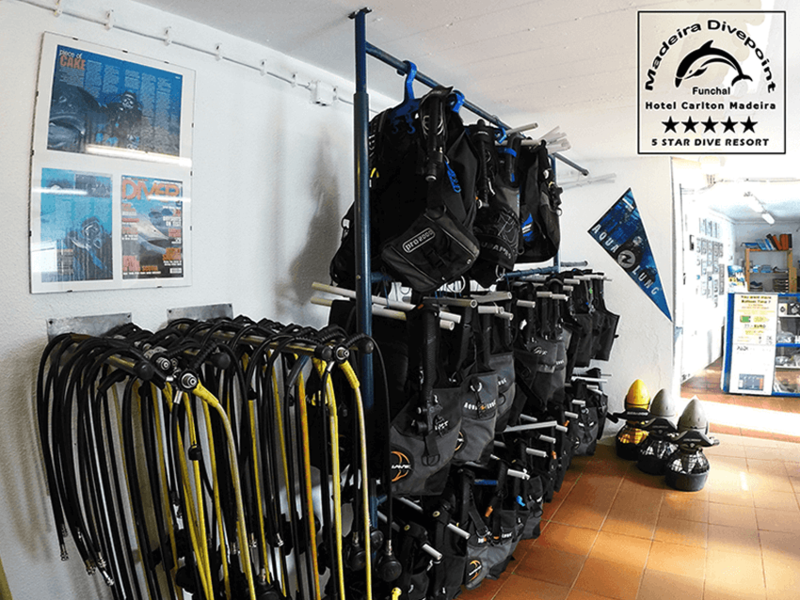 The equipment consists of 5.5 mm Aqualung overalls with attached hood, Seaquest ADV jackets, Aqualung regulators with double console and mandatory octopus. 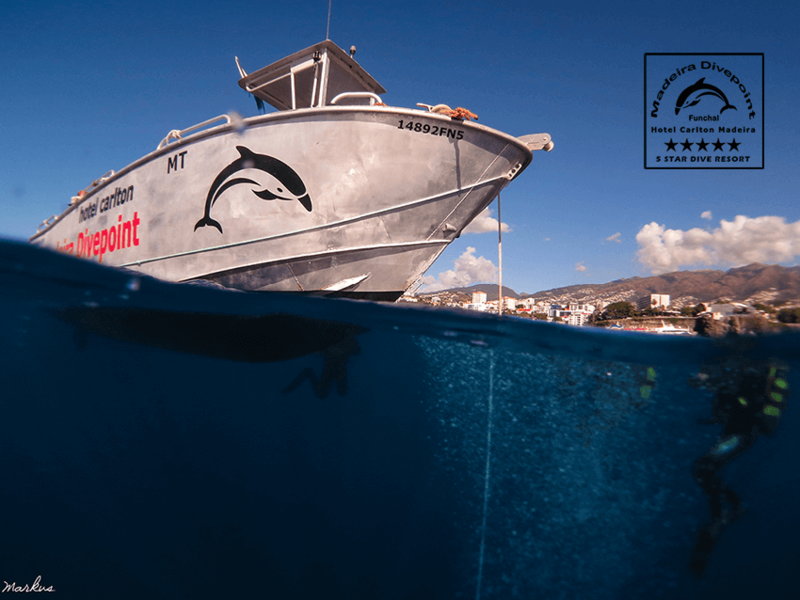 Among the various equipment available for hire are more than fifty 8, 10, 12 and 15 Liter tanks with DIN and A-clamp (INT) connections, as well as snorkel equipment. 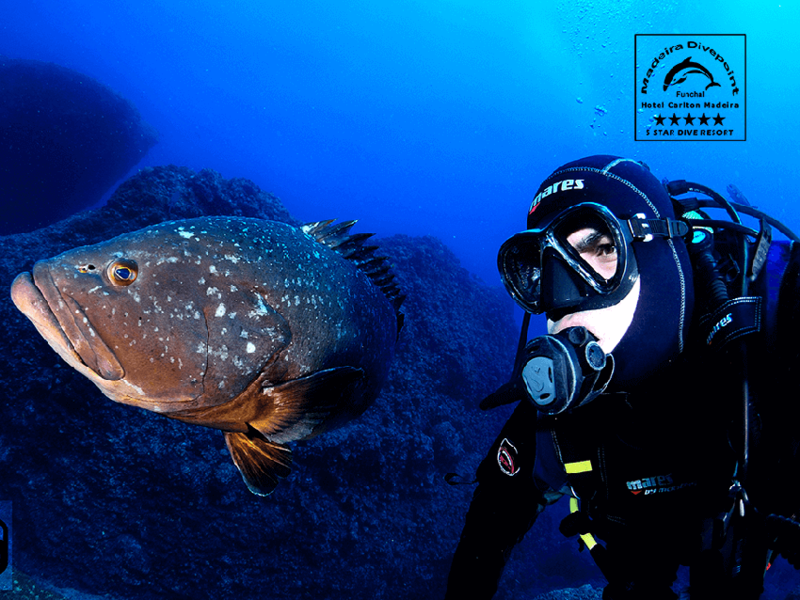 A powerful Compressor with 450 liter/minute guarantees sufficient clean air and nitrox. 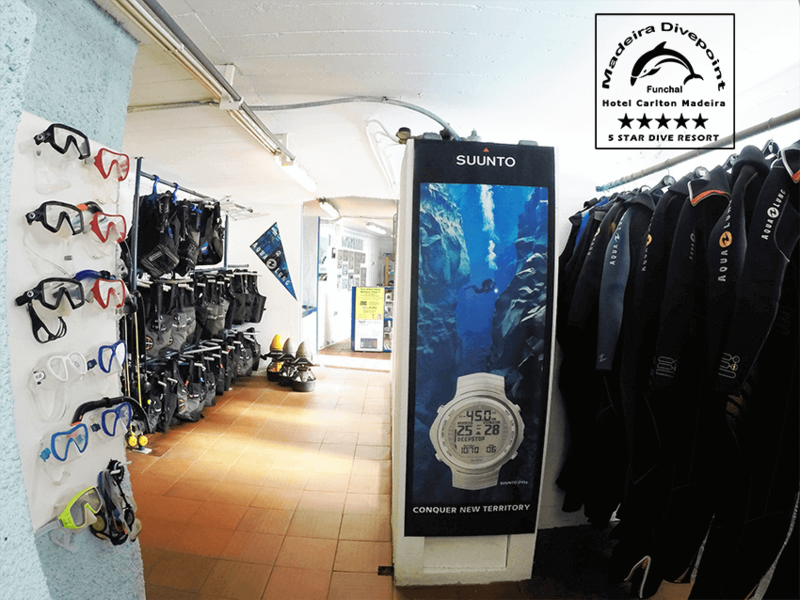 Personal equipment is safely stored in a clean and dry location, hot showers and changing facilities are available to our divers. 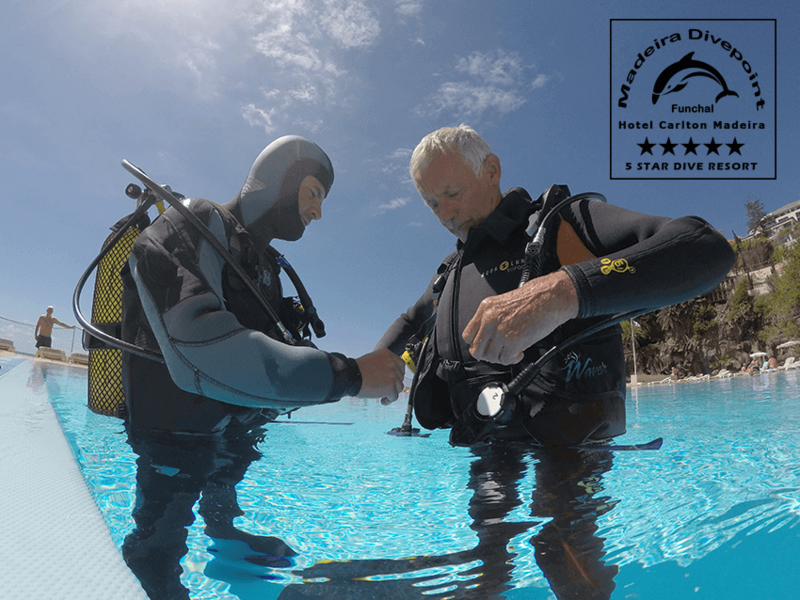 Instruction, along PADI guidelines, ranges from Bubblemaker to Divemaster. 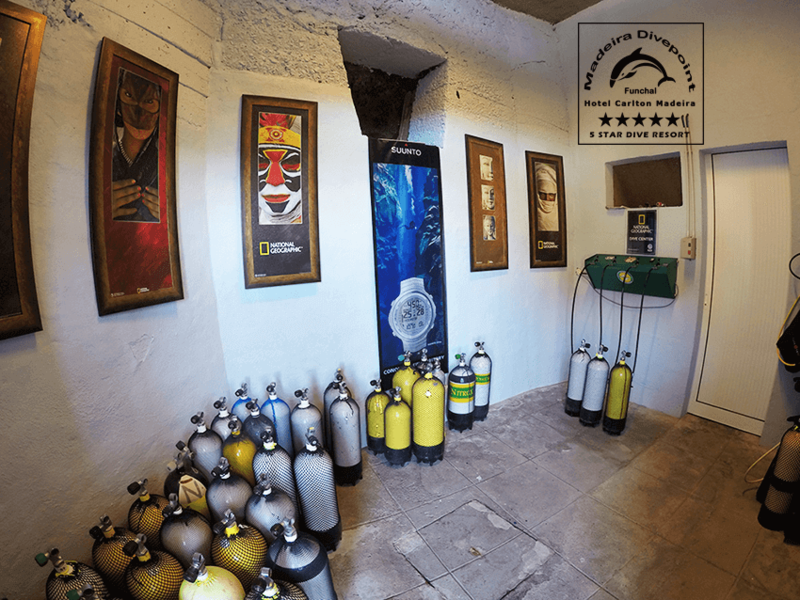 In addition, special courses in deep diving, underwater navigation, unterwater naturalist, night diving and cavern diving are available. Our goal is to offer high quality instruction tailored to individual needs. Courses are held in small groups, providing a relaxed and stress free atmosphere and allowing participants to have fun while learning.